A vast, empty landscape in the farthest reaches of the Inner Mongolia province of China, Badain Jaran is one of the few environs in the world that has not been obsessively catalogued, photographed, and explored in this age of Google Maps and Lonely Planet travel guides. Except for two German-Chinese research expeditions in 1988 and 1993, the desert remained mostly unknown to Western travelers. From 2009 and 2012, artist and photographer Carlos Crespo made several trips to the virtually untouched and almost inaccessible region to document both the starkly beautiful scenery and the lives of the few Mongolian herdsmen who dwell on the fringes of the desert. Crespo recorded Barain Jaran’s numerous sand dunes, some of which reach 1,600 feet tall, and the freshwater and saline lakes that dot the desert. His stunning photographs were all taken while battling the intemperate weather of the region; winter temperatures can get as low as -40°F and the spring and autumn bring violent sandstorms. 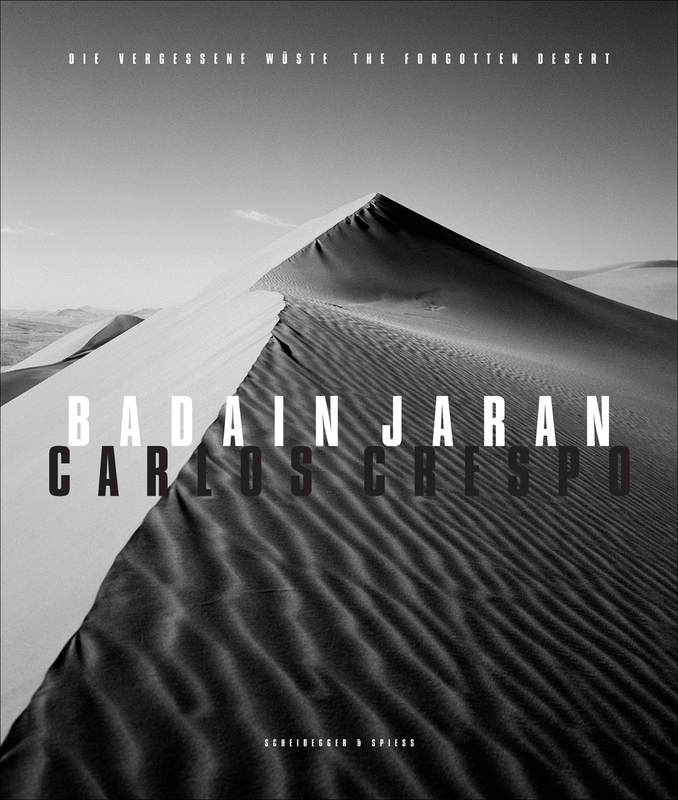 The results of Crespo’s labors are devastatingly gorgeous, and Barain Jaran offers its readers a rare chance to glimpse a world unmarked by humanity.